Lavinia Schwarz spent some time in San Diego this month and took the opportunity to visit with a local genealogical group. She attended Randy Seaver's regular second Wednesday meeting of the Chula Vista Genealogical Society. It was terrific. Fifteen folks attended. I think their format would work well for some of our membership meetings at CGS. 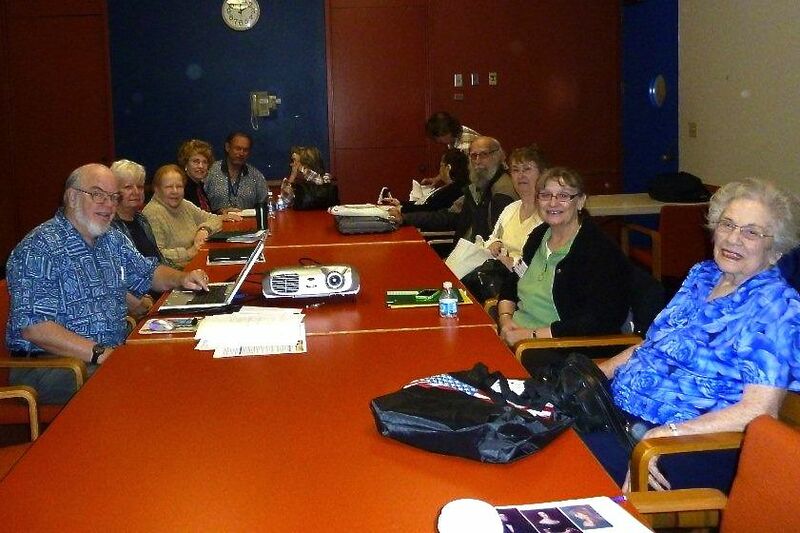 Chula Vista Genealogical Society meeting of January 9, 2013. Randy had internet access and his computer was hooked up to a projector. He started with a topic — this month a question: "What did you get for Christmas?" —and he went around the group for anyone who wanted to answer. Many passed. One brought a flip cam and did a quick demonstration; a few mentioned brilliant breakthroughs they'd had (one on Christmas Day after a phone call from a Rootsweb message board correspondent); and one who talked about finding his line back to Adam, which led to Randy's article My Purported Line Back to Adam and Eve – 140 Generations from Adam to Randy. This round robin took about forty minutes. Next, Randy presented in detail what he had recently put on his blog about a few essential websites and some mapping. It was brilliant. I have in depth notes on that to share. Last was another round robin. This time it was "Do you have a pesky problem? Let's ask the group for help." Among other things we found someone there who had not been able to find himself on the 1940 census. We failed at finding another one, but it was a terrific demonstration of wildcarding and trying various routes to circumvent poor indexing or spelling. All in all, it was just great. 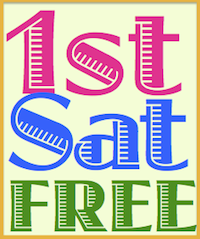 The meetings are free for Chula Vista Society Members. As we said our goodbyes, Randy good-naturedly told me that facilitating the two hour sessions can be "like herding cats." You can read Randy’s meeting report CVGS Research Group Summary - 9 January 2013 Meeting at the Chula Vista group’s blog. The Chula Vista Genealogical Society is a non-profit corporation founded in 1987 and affiliated with the library system of Chula Vista, California. The society draws members from the city of Chula Vista and the surrounding communities of southern San Diego County. They meet regularly at library facilities so all meetings and programs are open to the public. They encourage membership so as to gain access to the wealth of knowledge and experience of its members. May I publish the picture on our blog and in our newsletter?